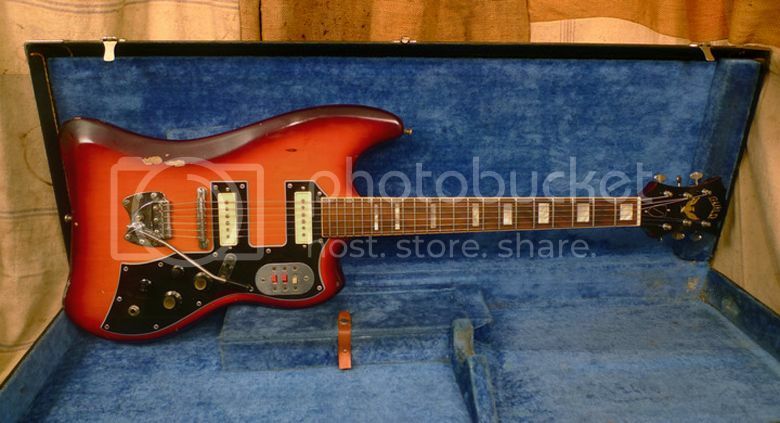 The Guild S-200 Thunderbird was the guitar of choice of Muddy Waters and and The Lovin' Spoonful's Zal Yanovsky. It was the inspiration for the 1990s Korean-made DeArmond-branded Jet Star, a guitar which is collectable enough in its own right. 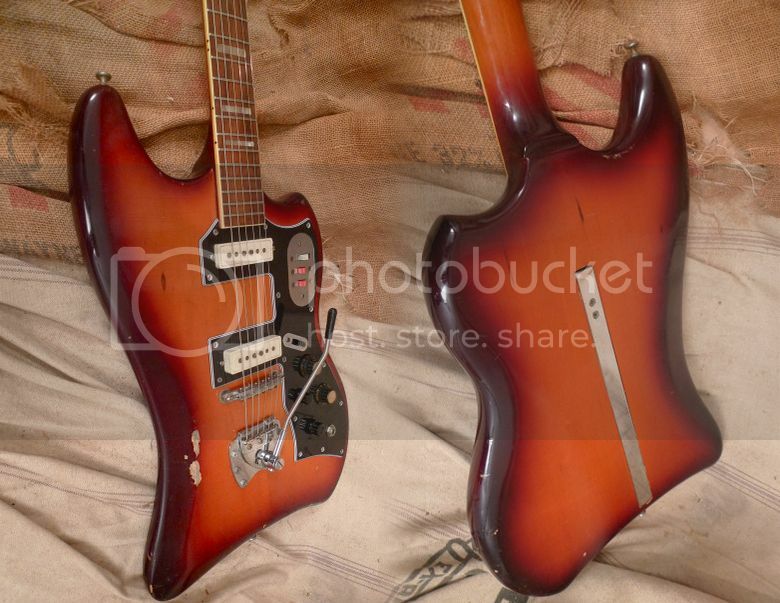 Naturally, the original USA-made Guild is, of course, much cooler with its antiquated looking controls, its slablike oblong DeArmond single coil pickups and the built-in stand in the back of the guitar, while the vibrato would not look out of place on one of Italy's idiosyncratic Wandre guitars. Currently listed on eBay with a Buy It Now price of $3,750.